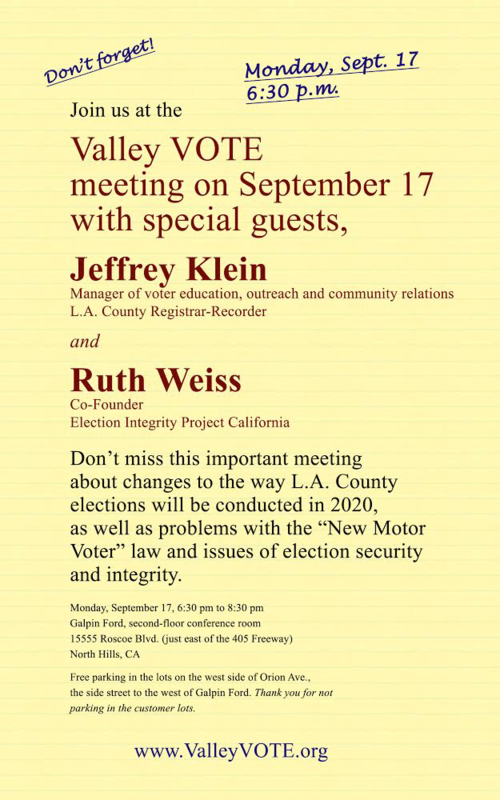 Dr. David Kay will be joining us to talk about his effort to put together a community watch program. 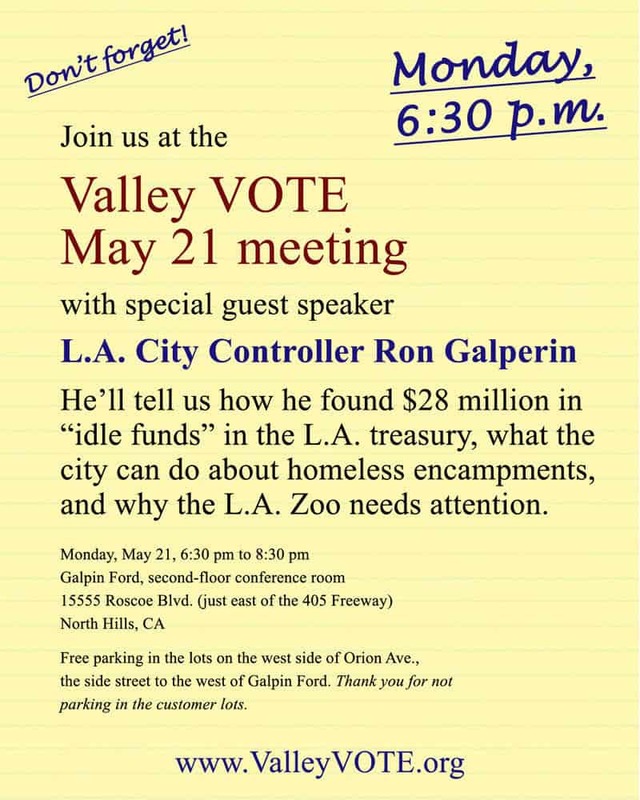 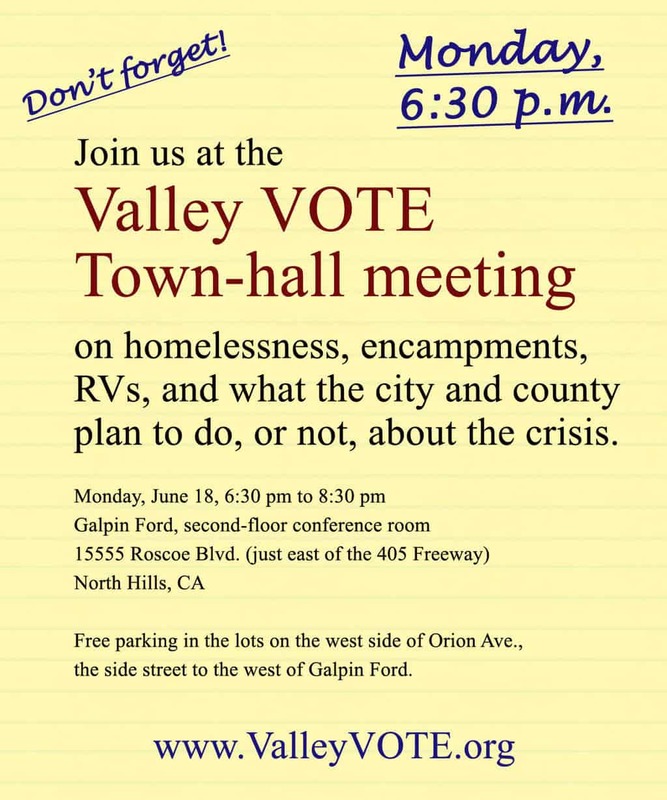 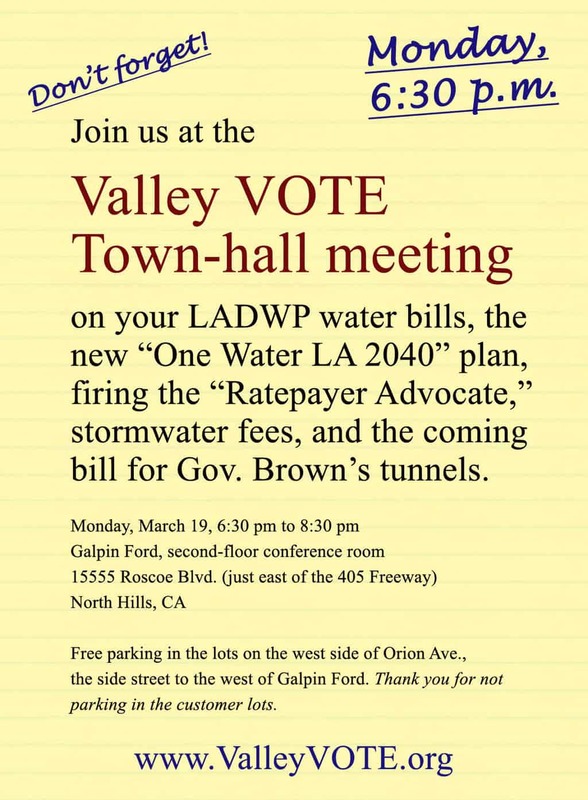 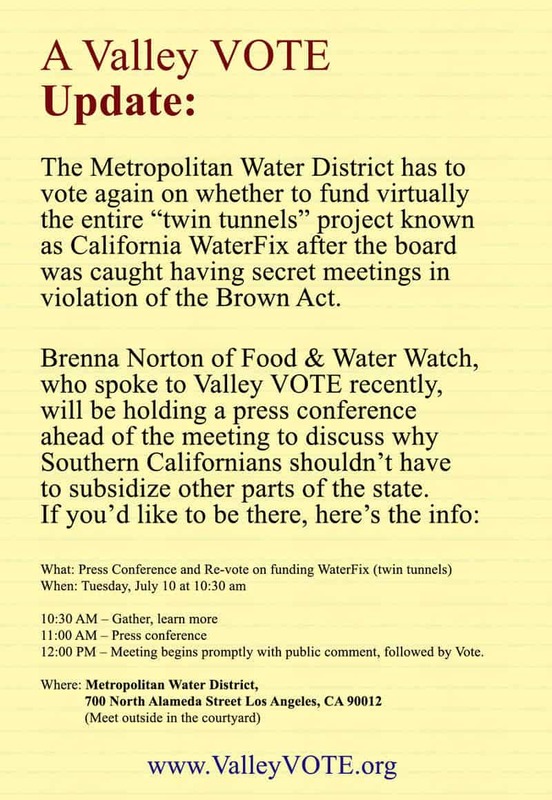 You’re cordially invited: Valley VOTE meeting tonight on hyper-mega-over-development and a proposed law to make it even worse. 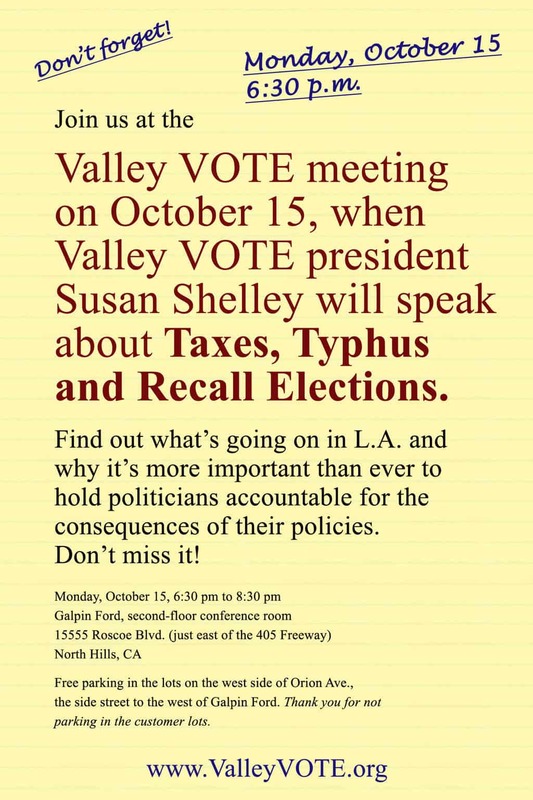 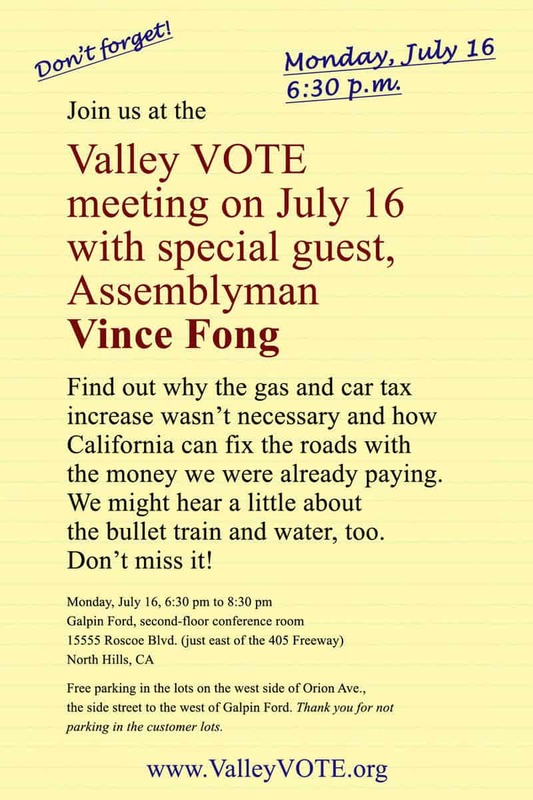 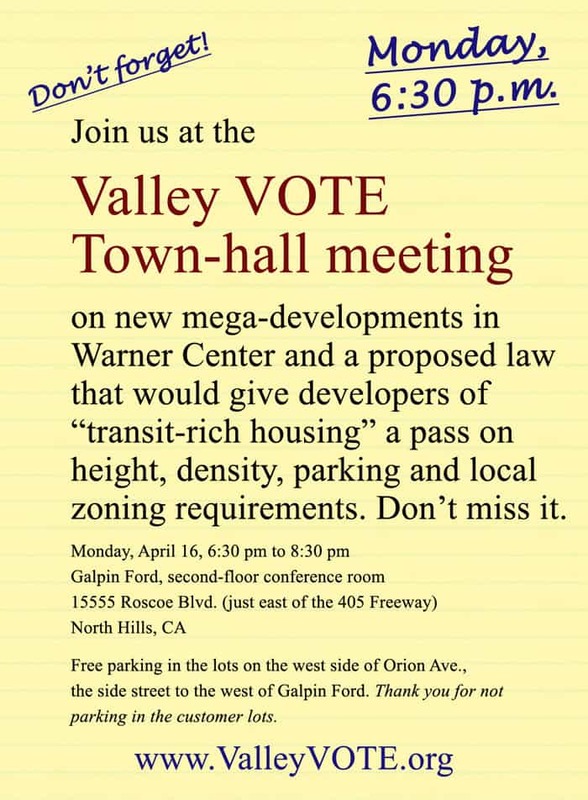 Join us at the Valley VOTE meeting Monday night, where we’ll be talking about mega-developments planned for Warner Center, the traffic impact, and a proposed state law that could make it even worse. 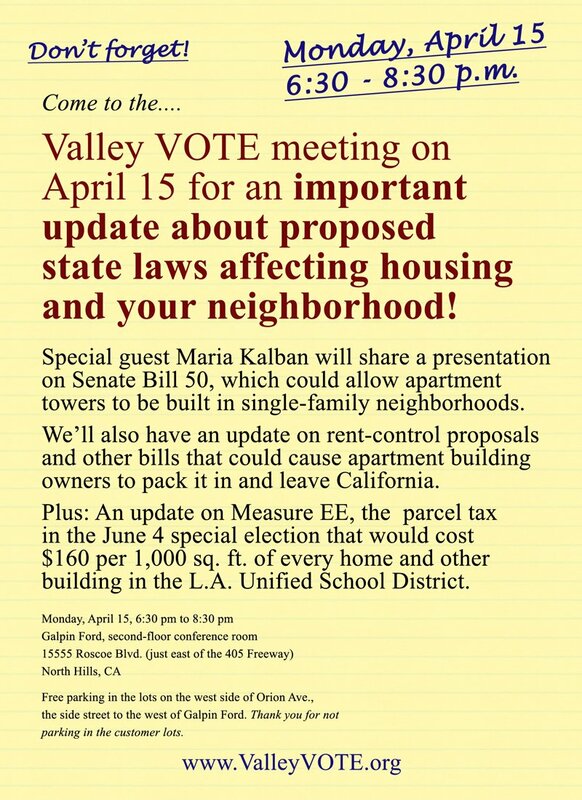 Special guest Maria Kalban will share with us what the Sherman Oaks Homeowners Association found out. 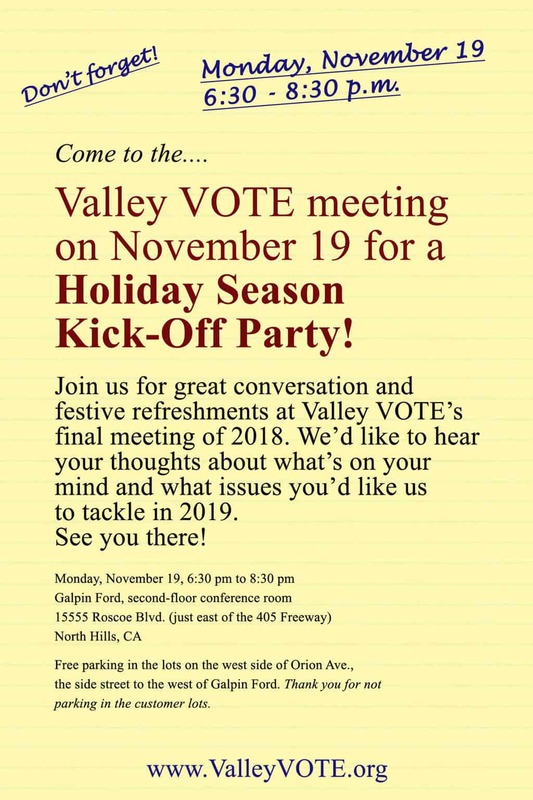 Hope to see you at Valley VOTE on Monday!